RONDA is surrounded by two natural parks, the Sierra de las Nieves and the Sierra de Grazalema, not to mention its very own breathtaking Serrania. These surrounding hills are creaking with wonderful walks and pretty towns and villages to visit, all easy to reach in the car and most with their own excellent places to stay and eat. 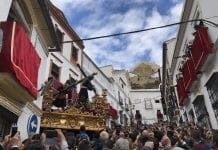 Here are the Olive Press top ten picks for a trip out of Ronda. 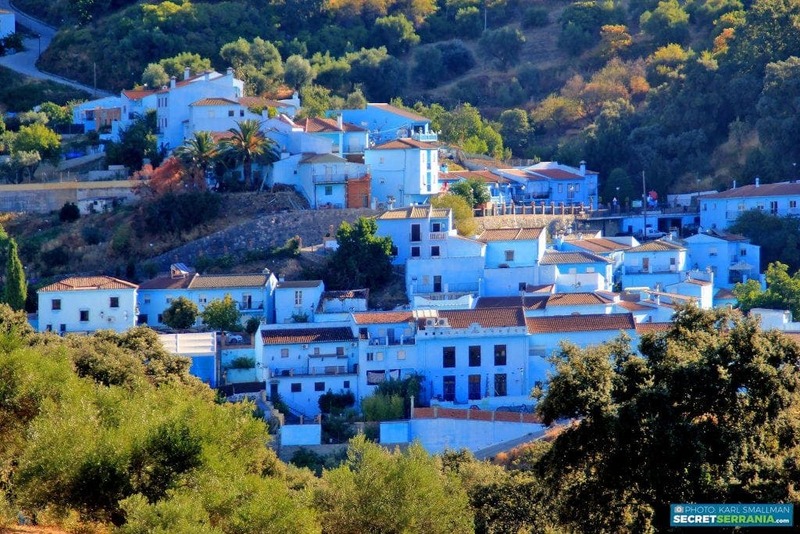 While it’s about as stunning as any of the pretty villages around Ronda, there is one big difference with Juzcar… it’s blue. This is thanks to the Smurf movie that in 2011 decided to use the tiny town as the mythical base of the tiny creatures. It has been used a handful of times since and voted to stay blue some years back. But apart from the many attractions for kids, based around the movie, it is also the perfect place for a walk and to see Griffon vultures and crag martins. 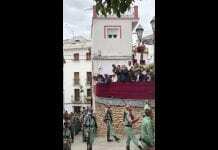 The Serrania was once a major stronghold for bandoleros (bandits) and the tiny towns of Benaojan and Montejaque were famously where many holed up. But there is much more, such as the Cueva de la Pileta, near Montejaque, which has the oldest cave paintings in Spain, while Benaojan is the centre of the ham and sausage industry. There is a fabulous walk from Benaojan Estacion down the river to Jimera de Libar, from where you can get the train back. At each end is a great lunch spot, with hotel Molino del Santo (www.molinodelsanto.com) the obvious pick. 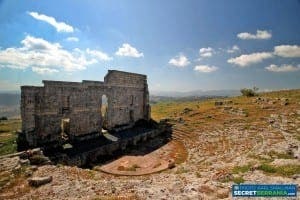 A 15-minute drive from Ronda takes you to the ancient city of Acinipo, where the Roman’s built their ancient town. The highest hill for miles around, it still has much evidence of their skills with a large part of its amphitheatre intact and a lot more to look at, not to mention the views. The visitor centre is only open for the morning, but one can always climb up to the amphitheatre out of hours. The historic Roman town of Setenil de las Bodegas is a real eye opener and amazing for photography. Nestled in the rolling landscape, 20 minutes out of Ronda, it was built on a series of caves, which served to keep the wines of the Romans cool in summer, hence its name. It is best to leave your car outside the town, wander up to the old fortress before heading down to the famous overhanging cave for a fine tapas lunch. An hour walk out of Ronda will take you to one of the most stunning natural sites, the Cueva de Abanico (or the Fan Cave). 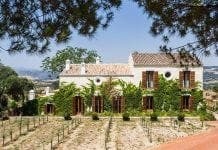 Near here celebrated flamenco star Estrella Morente, and husband bullfighter Javier Conde are about to build a hotel and it is no surprise why. This is one of the most beautiful walks imaginable, with bits of Roman road to discover, ruined towers and then the amazing cave and river at the end. Most people spend their time in the famous Ronda Tajo, but few take a stroll up the fabulous historic valley walk above the charming village of Arriate, just ten minutes out of Ronda. Well signposted, the Arroyo de la Ventilla hike heads up into an almost tropical leafy gorge, perfect for hot sunny days being mostly in the shade. Kids will love it in summer with the river forged creating a natural splash pool, with swings and an organic picnic spot. 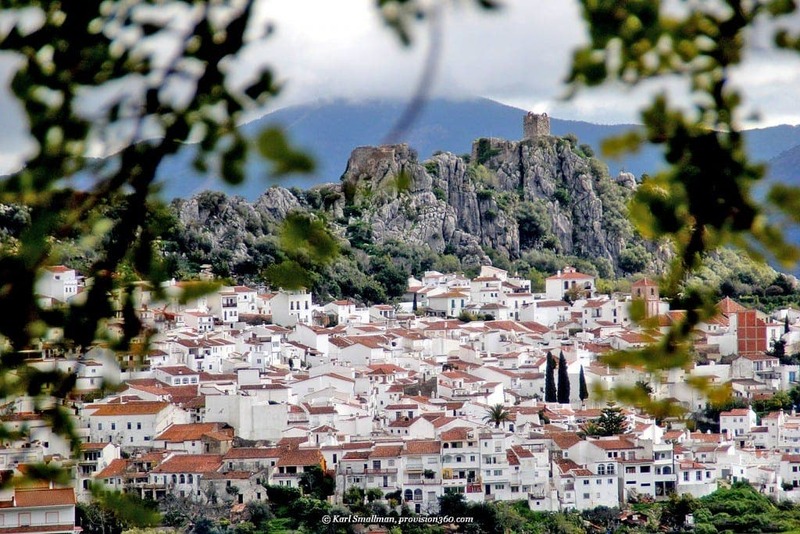 Zahara de la Sierra and Grazalema are two of the most evocative towns around Ronda. 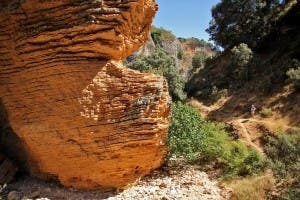 While just across the border in Cadiz, both are easily reached and set in spectacular scenery. Zahara has a towering castle above it and a great restaurant Al Lago (www.al-lago.es), while Grazalema (a beautifully conserved gem) was once the centre of the wool industry and you can still buy delightful rugs and bedspreads. 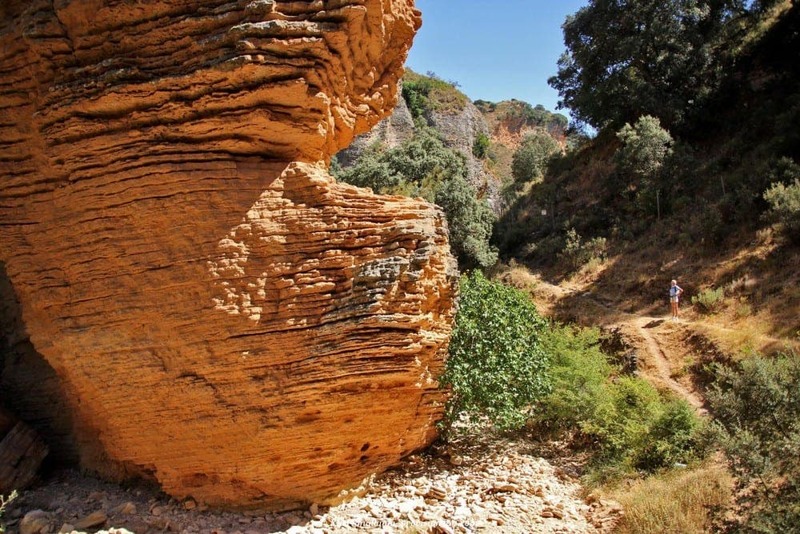 Discover the mysteries of the Rio Mondardillo valley by walking from Jubrique via Genalguacil and Benarraba to Algatocin. You walk on official Andalucian hiking trails. From Jubrique to Genalguacil follow trail PR-A241. From Genalguacil to Benarraba follow trail PR-A240. Finally PR-A239 leads you to Algatocin from where you may return to Jubrique by a public bus. Enjoy the street art in the white village of Genalguacil. 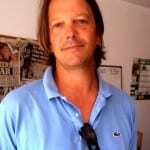 Some years ago the government of Provincia de Málaga had decided to offer a two months summer camp to local artists of the Málaga Province at Genalguacil. For free lunch and accomodation every artist was obliged to leave one of his artworks in the Streets of Genalguacil. Now the village is full of wunderful sculptures and paintings. In autumn it’s a good choice to walk on PR-A226 from Igualeja to Parauta through the colourful chestnut forests of the upper Genal-Valley. For the way back to Igualeja follow PR-A222 direction Cartajima. At the lowest point of this path don’t cross River Genal but cross a side-creek and a fence to walk uphill through another chestnut forest until you reach Igualeja. There you may happen to join a Fiesta de Castanos. Don’t miss to buy a glass of Chestnut Nutella at the chestnut storehouse of the village in front of the source of river Genal. 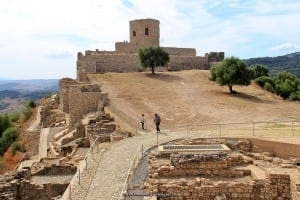 Another great walk leads you from Estacion de Cortes (also known as La Canada del Real Tesoro) uphill to the ruins of Venta San Isidoro at the Ronda-Algeciras road and to the village of Atajate. From there follow the hiking pass through the Tajo del Aguila to the village of Jimera de Libar and proceed to Estacion de Libar from where you may return to Estacion de Cortes by a train of the Ronda-Algeciras railway. Don’t miss the hidden pont 2 miles away from Estacion de Cortes which is completely covered by little white flowers. Below this cover many frogs are giving you a free open air concert. At the northern side of the Lake Zahara behind the town of Algodonales there is a single mountain in the form of the Table Mountain of Cape Town in South Africa. Its name is Sierra de Lijar and the entrance to the hiking path onto this mountain lays in the village of La Muela, which can be reached by car from Algodonales on the A8126. On the hiking path there are so many Madronos, a small tree with sweet orange berries, that make you addicted and may prevent you from reaching your walking target. On the left side of the broad mountain ridge you have a stunning view over Lake Zahara and the Grazalema Mountains, while on the left side you see the nice silhouette of the lovely town of Olvera. Ahead you watch the paragliders hovering from the mirador del Poniente down to Lake Zahara. Another single mountains which governs the landscape of Lake Zahara is the double summit of Las Grajas and Lagarin. The entrance to the path onto these two summits can be reached by car via CA9114 to the white village of El Gastor. From the two summits enjoy stunning views on the Zahara Lake with the castle of Zahara. As of the town of Jimena, the castle that you described is the starting point to a nice trip around the lovely Rio Hozgarganta. From the castle follow the path Camino de la Encubierte through the botanical garden Jardin Etnobotanico el Risco down to River Hozgarganta. In parallel to the river there exists a dried channel of 2 miles, named Canal de la Real Fabrica, which had been built by King Carlos III to run a watermill which produces artillery balls. The factory became never productive, as the water level of Rio Hozgarganta varied too much. At the end of the channel you cross river Hozgarganta and walk through the mountain at the opposite site of Rio Hozgarganta until you arrive again at the bridge. From Grazalema drive on CA9104 towards Zahara. After 2 miles you arrive at a mountain path on sea level 1000 meters named Puerta de las Palomas. There is a car park, where you may park your car. On the left side of the car park you pass a small cattle gate which leads you onto a small path which runs arround the summit of the Mount Coros. On this path you may happen to meet a vulture vis a vis at a very near distance. The path runs horizontally around the Mount Coros without major inclines. Enjoy stunning views over Lake Zahara, the double summits of Las Grajas and Lagarin as well as over the village of Grazalema. Walking time from and to the car park is about 50 minutes. 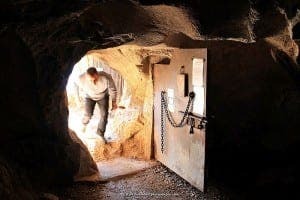 Near the lovely village of Montejaque there exists a system of corresponding caves of three miles in length which may be explored by professional cavers only. If you do not belong to this species you may still enjoy one side of the cave-system. From Montejaque drive on MA8403 towards Sevilla. Two miles outside of Montejaque at the left side there is a crazy mountain together with a small dam. You park your car on a meadow besides the road with a chart which shows the system of the two caves Cueva de Hundidero and Cueva del Gato. Walk to the dam, then turn left onto a very long stone staircase which brings you down to the entrance of the Hundidero cave. The entry into the cave is forbiden but you may choose to inspect the entrance which is as large as a cathedral. In former times the montain aside the cave had been split by a strong earthquake. The atmosphere in the deep gorge with the cries of dooms is a little bit scary. The small dam had been built by Swiss engineers in 1928 to stow the waters of Rio Campochues into the newly built Embalse de Montejaque in order to produce electricity. This project failed, as the water level varied too much. The embalse de Montejaque is now dried out most of the year. 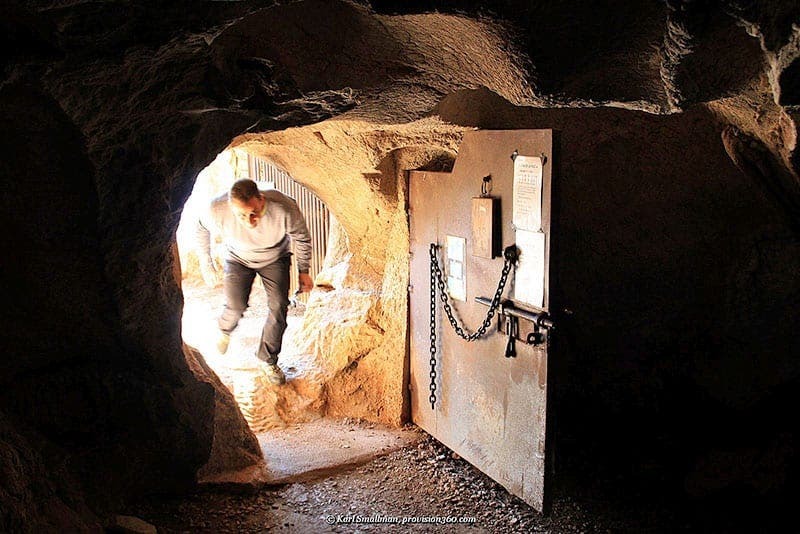 For the stairs down to Cueva de Hundidero and retour allow one hour.